DronEye Imaging is an Indianapolis, Indiana based drone business and is migrating its fleet over to Xoar Carbon Fiber Props and mounting systems to ensure safety and reliability during the most rigorous of UAV or drone missions. Xoar is a leading innovator and manufacturer of quality propellers that withstand the rigors of regular commercial use. Xoar has over 40 years aviation experience and modern technology and produces one of the most efficient & stable Aerial Propellers. 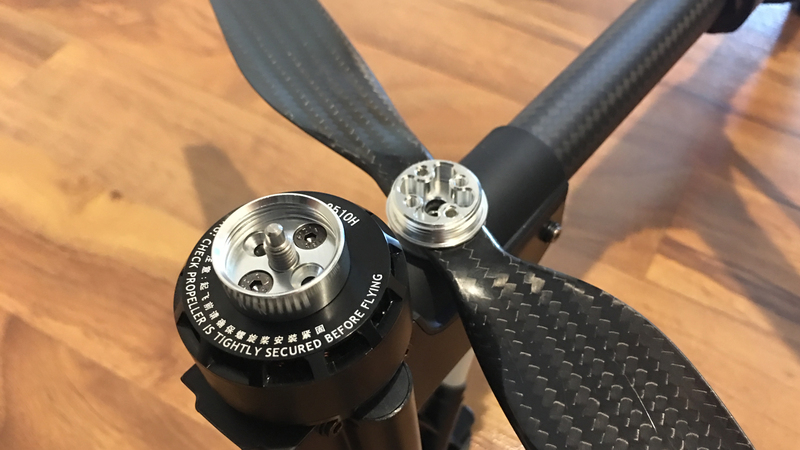 The propellers provide a stronger connection in comparison to the standard stock propeller connection on most multicopter drone on the market. This multicopter upgrade enhances strength, durability, and increases the safety of the overall operation. After performing numerous flights and operations servicing over 40 clients in the Indianapolis Metropolitan area, DronEye Imaging continues to invest in new technology and products. Their continuous investing efforts allow them to provide the safest and absolute best client drone service possible. Safety is of the utmost importance to the Indiana based DronEye Imaging team. Upgrading the UAV (drone) fleet to Xoar accessories and equipment is the perfect example of how they value safety and reliability. DronEye Imaging recommends these propellers to any recreational or commercial drone user. Xoar provides a product that improves performance and safety, but also a product that protects your investment.